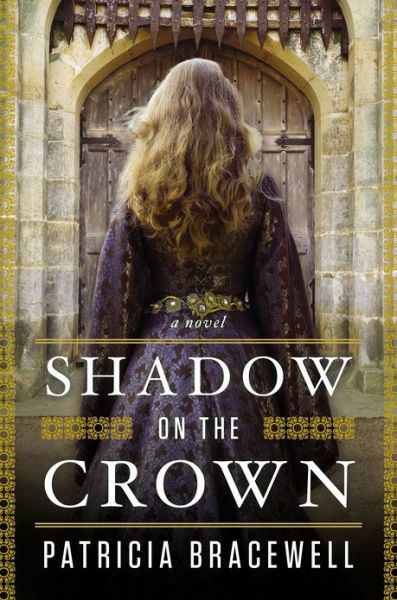 Shadow on the Crown is set in the early days of the eleventh century. King Aethelred has a Danish threat to contend with and restless lords in Northumbria and Mercia. He is also plagued by the ghost of his dead brother, Edward, and competition from his eldest son looking to the throne. Emma, the younger sister of Richard, the Duke of Normandy, is sent to England at the age of fifteen to become Aethelred’s bride as a quick replacement after his wife dies during childbirth. Richard uses Emma as a pawn to secure a relationship between England and Normandy against Swein Forkbeard and his Viking raiders. Emma reluctantly makes her way to England and the story recounts her experiences as a foreign Queen in a hostile land. The book revolves around four main characters: Queen Emma, King Aethelred, Aetheling Athelstan and Lady Elgiva of Northampton. Aethelred is a compelling, albeit, loathsome character. He mistreated his first wife, and he continues to mistreat Emma even though she tries numerous times to make the marriage work. They have a hostile, acrimonious, and at times violent relationship throughout the novel. Aethelred was notorious for his trysts with other women and took Emma’s jealous lady in waiting, Elgiva, daughter of one of his grasping Northern ealdorman, to his bed. Elgiva is only interested in one thing: wresting Aethelred from Emma in hopes that he will set her aside and take Elgiva as his concubine. If she can’t have what she wants through Aethelred, she will try with his son Athelstan. Aethelstan, wisely, sees Elgiva for what she really is, a power hungry conniving woman and snubs her advances. Elgiva, oddly enough, was not one of my favourite characters. I usually like a good villain but Elgiva wasn’t that. She spends most of her time eyeing Emma jealously, sleeping with Aethelred and making devious plans that go nowhere. I kept hoping she would do more damage or cause some serious calamity but it never came to pass. Elgiva never got off the ground as a true villain. On the other hand, I really loved Emma’s character. She’s the best part of this book and the character that kept me most engaged. She was smart and always one step ahead of Elgiva and her enemies. She stuck through her dreadful marriage to Aethelred with aplomb and steely determination. Her tryst with Athelstan was predictable but I still enjoyed it nonetheless and couldn’t help cheering her on. The affair gave Emma’s character some respite from her awful situation with Aethelred. Aethelred didn’t know what to do with her. After having a quiet, obedient wife before Emma, he is surprised to have to deal with a woman who is determined to be involved in his affairs, offer advice and refuses to be cowed. The book maintains a steady, intense pace. It was fascinating to have Emma’s perspective on life at court during the Anglo-Saxon period and witness what she endured in her role as Queen. Aethelred, a tormented and conflicted character was despicable but captivating and his scenes had me wanting to read more always hoping he’d redeem himself. Despite her age, Emma was much smarter than her husband when it came to decision making. Aethelred spends most of his time in the book being mean, haunted and making poor decisions. He is in constant fear of his eldest son, Athelstan, (who happens to be the spitting image of his dead brother) taking the throne from him. The book uses the Anglo Saxon Chronicle as a backdrop for the story. Bracewell takes some of the events and characters of the chronicle and manages to spin an exciting story. If you’re looking for Viking carnage and constant battles, this isn’t that book. There is some of that in the account of the St. Brice’s Day Massacre, Swein’s kidnapping of Emma and the destruction of Exeter but it’s not particularly drawn out. What made this story engaging was Emma and how she handled being a young foreign Queen in a country under the constant threat of Viking siege. Emma was politically savvy and did what she had to do to tread water and keep her crown. She never shied away from duty — no matter how unpleasant. In spite of Emma’s strength of character, and even after she cares his ailing son, Aethelred doesn’t ever truly respect her. I found that interesting as most novels try and resolve such relationships by the close of the book. Emma never gets that long awaited for resolution but she still walks away with her head held high and the admiration of the reader.